On your arrival in Lausanne, transfer to the hotel on your own. 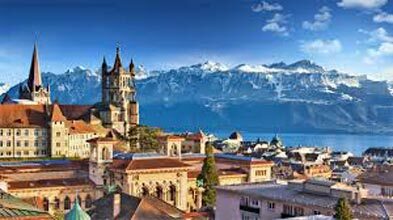 Lausanne is the 2nd largest city on the Geneva Lake. The place is the combination of a holiday resort and a dynamic commercial town. You may spend the remaining day at leisure and explore the city on the road. Return to your hotel for an overnight stay. This day is dedicated to be spent at leisure. In the morning, after breakfast, you may choose to either relax in the hotel or explore the city. As this would be a self-headed city tour, make the best of it by communicating with the locals, exploring the lanes and do not miss to save some of the delectable delicacies. 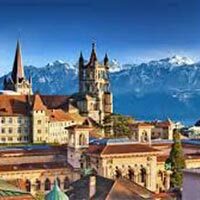 Visit the old Town of Lausanne and the Olympic Museum. Thereafter, return to your hotel for an overnight stay. Post breakfast, leave for Lausanne Station after checkout from the hotel, on your own, to board a train for your onward journey.